This toile was printed from about 1780 to 1820. 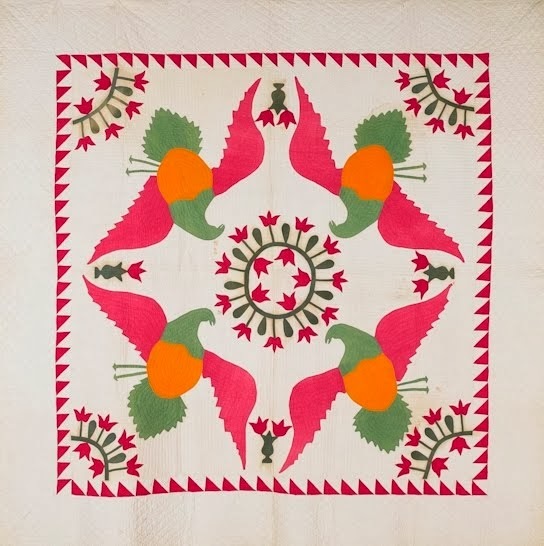 See Art of the Needle, Quilts from the Shelburne Museum, page 30-31 for their 'Pheasant and Mandarin Duck Motif' whole cloth quilt dated 1810 made from the same toile. You can really see the toile as the whole quilt is shown and a full page detail photo. It is also shown in Montgomery's English Fabrics and Eaton's update. 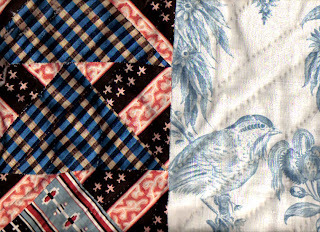 But, if anyone has more information on this fabric, please let me know or if they have any in a quilt. 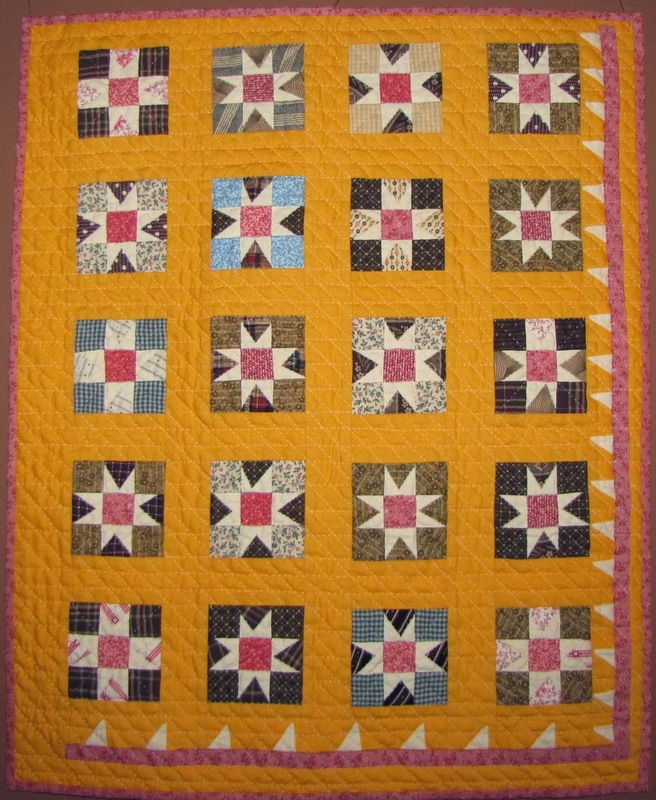 Here it is in my very antique quilt. 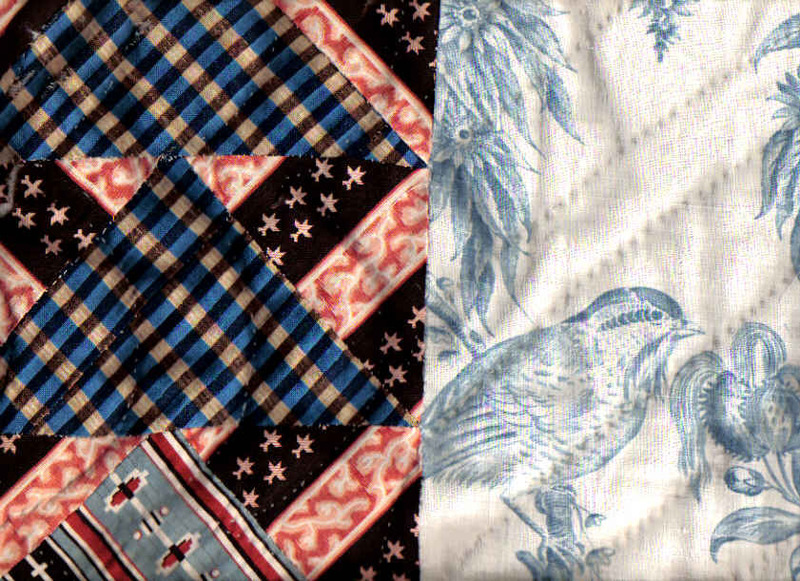 Strippy Flying Geese/Bird Toile Quilt 72 w X 85 h. English blue/white cotton copperplate printed toile with 36 inch high repeat. 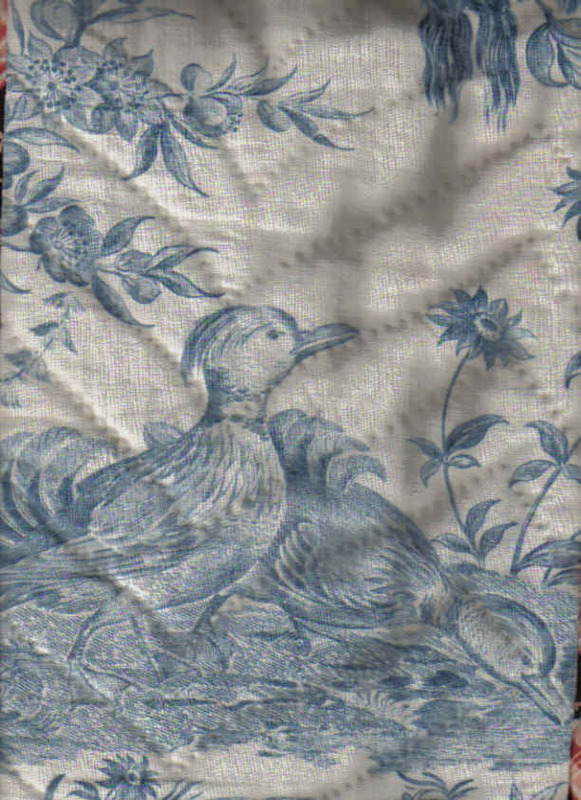 To show scale, the first picture showing the pair of ducks is an 8.5 X 11 scan. Ha Ha- quilty humor is not a new thing.